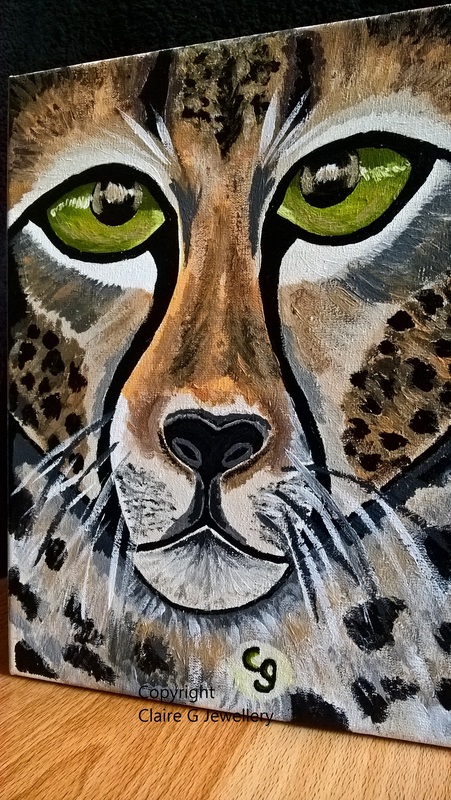 <\/u><\/b>Entitled \"Cheetah Stare\" this is an Acrylic painting of a Cheetah's face. This would be perfect for anyone that likes big cats or wildlife art. 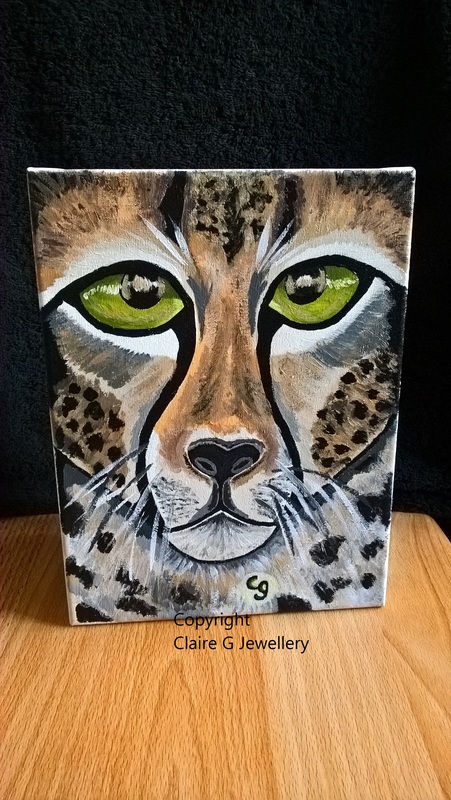 The eyes are a lovely light green colour and there is gold coloured paint in places on the painting to give it a slight shimmer effect and to bring out the texture of the animal's coat. This took about 8 hours to complete. It is hand painted acrylic painting on a medium sized canvas. It is a one off original and perfect if you would like to buy some unique artwork or just want something memorable for a birthday gift\/special occasion for a loved one. Main colour\/s of painting<\/u>: Black, Green, Gold, White, Yellow, Brown, Sand, Grey, Beige, Cream. 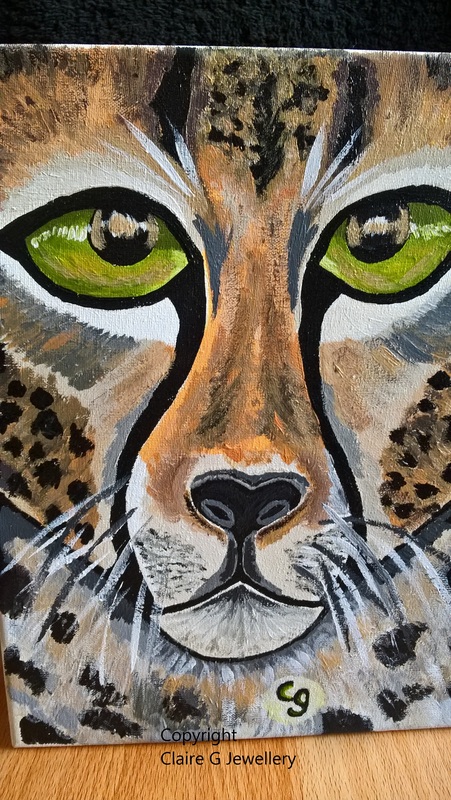 Entitled "Cheetah Stare" this is an Acrylic painting of a Cheetah's face. 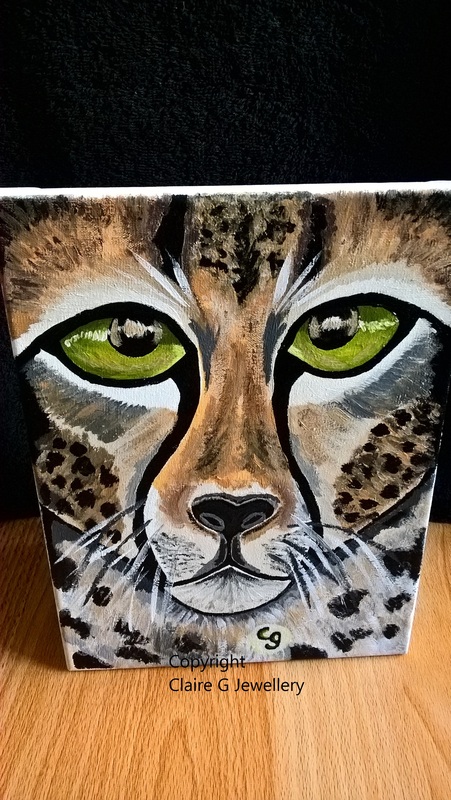 This would be perfect for anyone that likes big cats or wildlife art. 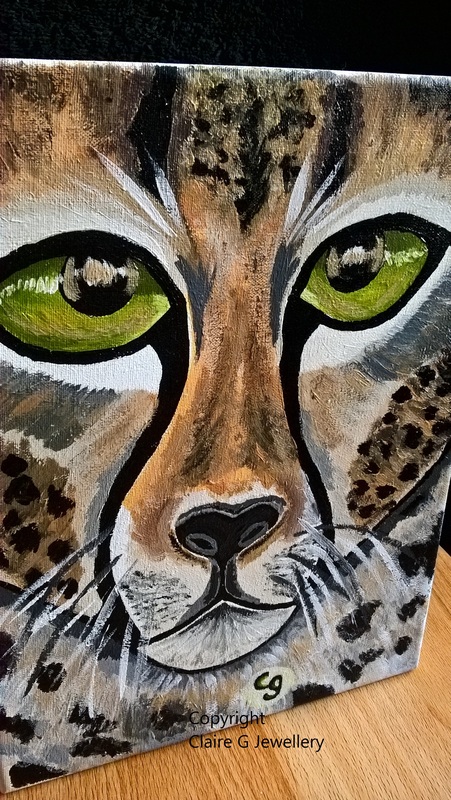 The eyes are a lovely light green colour and there is gold coloured paint in places on the painting to give it a slight shimmer effect and to bring out the texture of the animal's coat. This took about 8 hours to complete. It is hand painted acrylic painting on a medium sized canvas. It is a one off original and perfect if you would like to buy some unique artwork or just want something memorable for a birthday gift/special occasion for a loved one. Main colour/s of painting: Black, Green, Gold, White, Yellow, Brown, Sand, Grey, Beige, Cream.